The Maryland Zoo is asking for the public's opinion on naming any potential new penguin chicks that hatch during the upcoming breeding season. The birds at the Penguin Coast exhibit each receive an ID number and a name based on a specific theme, the zoo said. The chicks are named once DNA tests establish if they are male or female. Typically, the zoo picks a theme that will apply to all chicks born in a season. In the past they have used space terminology like Hubble and Astrid, or types of fish like Trigger and Tetra, or famous scientists like Tesla and Newton. 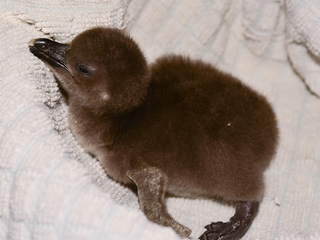 The zoo has been hatching penguins for more than 50 years. The flock reached it's 1,000th chick with the hatching of Millie last spring. Recently, five hatchlings joined the flock in October, the zoo said.